Is the alluvia of people coming to Europe from Syria fleeing a war-torn Levant, those persecuted for their Christian faith, economic migrants as Pope Francis suggests, grifters seeking generous Western social service benefits or doing soft jihad via immigration? Scripture implores believers to be compassionate and merciful towards immigrants. However, those migrating are expected to obey the laws of the government. 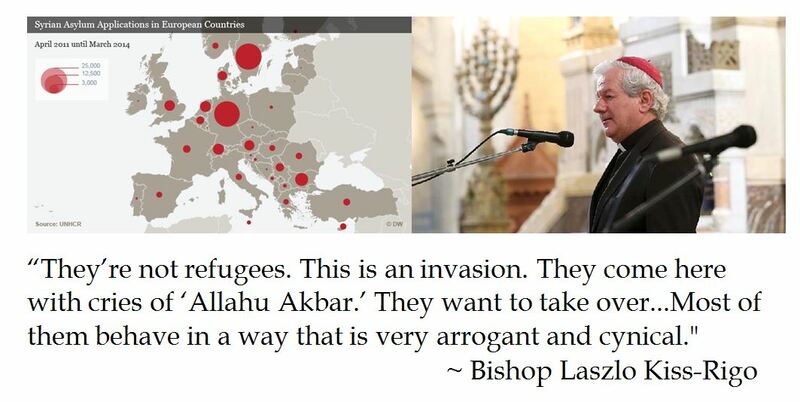 As the population bomb from this Muslim migrant overwhelming the system explodes, expect religious liberty for Christians to disappear for Christians in Europe in exchange for dhimmitude.